Outlander fans across the internet are cheering the first episode of the show, which aired on STARZ last night. An abridged form of the story readers have loved for over two decades, the television is breathing life into beloved characters, giving longtime fans a reason to re-read a book they love, and new fans a reason to find a book they may not have read before. 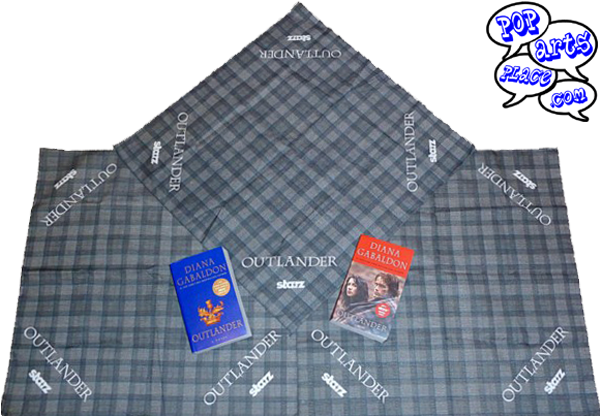 Yes, as you can see in the photo above, a special re-release of the book came out as a tie-in to the show, with the images of the STARZ cast members on the cover. With roughly 900,000 viewers, yes, that is 900 thousand folks, having tuned in to see the first episode BEFORE IT AIRED, we are eagerly looking forward to hearing how the show rated when it hit screens live last night. What can already be said is that Caitriona Balfe and Sam Heughan beautifully stepped into the roles of Claire and Jaime and led a talented cast in this period piece. Time and again it felt like the pages of the book had simply come to life. For those who have not read the book(s), and do not see having time to do so before this season wraps up, is that a problem? After all, we keep pointing you over to the books, don’t we? No, of course not! Having read the books simply gives the added interest of wondering how closely they will be followed, of seeing what makes its way from one medium to the other — and if what you imaged, curled up with the novel in your hands, is what this grand collaborative team brought to the screen. Reading the books might also help set expectations. I started to devour the book before the show aired… and about half way through, loving the characters, loving the grand journey they were on, I realized this is a long (yes, with a page-count of 850 I did see my own remark coming) tale. It unfolds in a natural manner. There are no grand space battles in the 1700s. This is not a steam punk tale with future-technology from generations even ahead of our own imagination having been brought back in time. This is a very real feeling drama about a woman from 1945, with an understanding of nursing from that time period having been flung back in time 202 years and trying to survive, and find her way home. Now take a moment to imagine how many survival skills you have that would help you survive (or heal others) 202 years ago. I made that remark to one friend and he immediately wanted to ask his teenage son if the he knew whether potatoes grew on a tree or in the ground! 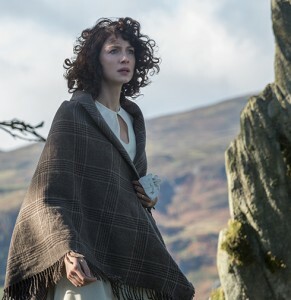 Having now watched the episode twice, I enjoyed the voice-over technique employed for Claire equally both times – it balances the sense that this came from a book beautifully with the new medium, and keeps the story on track and moving forward. Had those portions been altered — been forced into conversations, or the actors been told to try and convey everything through expressions and manner without the aid of those voice-overs, I believe the show episode would have suffered. If you have not already watched the first episode of Outlander, this is a show that looks like it will play well as individual episodes, giving a satisfying story in each hour — and yet, at the end of the season, I can already see I’m going to want to set aside a weekend to watch the series in full as the grand epic tale it is. This entry was posted in Novel, Television and tagged Caitriona Balfe, Diana Gabaldon, Outlander, PopArtsPlace, Ron Moore, Sam Heughan, Showcase, Showcase.ca, STARZ on August 10, 2014 by Kay.